Welcome to our 3-minute guide to the most common Biasi boiler faults. In our 3-minute fault finding guide we’ll cover some common symptoms that lead to boiler faults, and what you need to do next to fix the problem. Before we go any further. Gas appliances should be worked on by Gas Safe engineers. To get the price for repairs, we’d suggest speaking to a local engineer using this form. 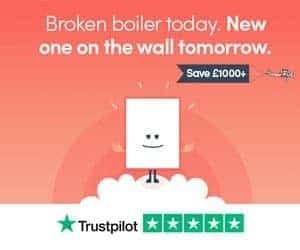 And, if you’d prefer to replace your unreliable boiler with a brand new one with a long warranty? We’d suggest heading to BOXT. They’re part owned by Bosch, so fit Worcester boilers dirt cheap. You can get a fixed price on-screen in less than 90-seconds using this form. Fault finding a boiler that won’t fire up isn’t particularly easy. Because, there’s several issues that could be causing this problem. The fix maybe simple, but the fault finding process can be complicated. So, it’s wise to call in a professional boiler engineer. The fault code displayed on your display panel will help determine what’s wrong with your Biasi boiler. 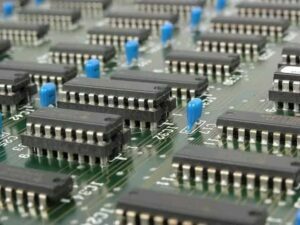 For example, a ER 01 error code will signal a burner fault, whereas the ER 05 will signal a fan fault. Each component of the boiler will be need to be tested. For instance, the fan could be jammed. By not working (or expelling flue gases), the air pressure senses it’s unsafe to fire up, and the boiler will lockout. If the repair cost is below £500 and you still have warranty left on your boiler, we’d go for the repair. Otherwise, we’d look at getting prices for a new boiler. The diverter valve flicks into the heating or hot water position, to direct water to radiators, taps and showers. Over time, these valves can become stiff, and get stuck. So, they could be stuck on the heating side, the hot water side, or somewhere in between. Stuck one side or the other would explain why you get hot water, but not heating (or vice versa). Radiators that are half heating up when hot water comes on, could signal that it’s slightly open on the heating side, even when the heating isn’t on. If your diverter valve is in good condition, a heating engineer may be able to free it, so it’s no longer stuck. But, the time taken (and money spent on labour), means its sometimes worth considering a replacement (get a quick on-screen price here). After all, if the part is old and worn, there’s a good chance that this issue is going to show its ugly face again! 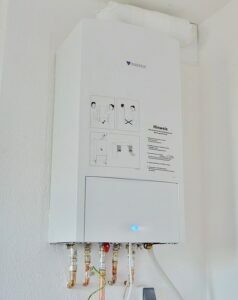 Different Biasi boilers will display signs of faults in different ways. So, always check your owner’s manual to check what the sequence of flashing lights mean. The fan takes dangerous flue gases from your property. The air pressure switch (which is really a sensor) ensures that the fan is doing its job. When it senses the fan isn’t doing it’s job, it locks out the boiler, and red and green lights start flashing. The first point of call is to check that the fan is operational. Fans can sometimes seize. And, that’s enough for the air pressure switch to notice the boiler is dangerous, and lock it out. But, what if the fan is working? Then, a Gas Safe engineer can test the air pressure switch and the fan using a multi-meter. If the fan is working correctly and there’s no blockage in the flue, it’s likely there’s a signal problem. This could be sensor > fan, fan > PCB or PCB > sensor. Given all parts seem to be in working order, it’s likely wiring is the issue. When a boiler starts to develop issues, it will show a fault code on the display board. Most of the time it will lock out, need to be fixed, then reset. First, check the boiler’s pressure. It should be around 1.5 bar. If it’s not, there’s a chance it’s lost pressure, or not been topped up correctly. It will need to be filled via the external filling loop. If the pressure seems fine, it’s likely a circulation fault. Circulation problems on Biasi boilers are almost always due to a pump fault. We’ve created a guide on pump faults and what to do next here. Older Biasi boilers can develop strange noises, a lot of the time this is banging. If your boiler is making banging noises when it fires up, and showing a ER 01 fault code, there’s a good chance there’s a problem with the burner. This could be blocked jets, or carbon build-up. But, it could be ignition related too. Ignition related parts that cause issues are the electrode, ignition lead and spark generator. After taking off the boiler’s casing, a Gas Safe engineer will quickly be able to determine the problem. A burner that is clogged full of carbon is easy to spot. If this is the case, this can be cleaned out. Once cleaned, the boiler can be reset and this should clear the fault code on your Biasi boiler, so it’s operational again. Ready to get the problem fixed, or want a quote for a new boiler? Get help from qualified local professionals here. Sick of your boiler breaking down? Get a new one with up to 10-years warranty, from £1,795 and on finance using this 90-second form. And, thanks for reading our 3-minute guide to Biasi boiler problems. If you have a question, drop a comment below and we’ll reply as soon as possible.